Orwell 1984: Looking for the Thought Police? Try Looking in the Mirror. 1984 is probably one of the worst books of the 20th century because of its mis-interpretation! a) Although Orwell was writing about ENGLAND, in fact, and not as allegory, the exigencies of anti-Soviet propaganda required that the story be defined as a dystopia about the world under Soviet control. Whatever Orwell may have thought about Stalin, 1984 was a story directly attacking the Labour Party and the policies that would become enshrined in Labour governments dominated by graduates from Oxford and to a lesser extent Cambridge. Anyone outside of Britain might be forgiven at the time for missing this but today the oversight is simply rooted in ignorance — willful or unwitting. b) Orwell, who served in the colonial police in Burma, was well acquainted with the methods of social control used in Britain’s colonies — including torture and surveillance. He had no reason to draw on reports from the Soviet Union, true or false. He also worked in the British government’s propaganda department. The BBC was created in 1922 as a radio monopoly in part to improve the government’s campaign against organised labour. There the fabrication of “news” was daily routine, as it is today. c) Post-war Britain was — in comparison to the US esp. — a disaster area. 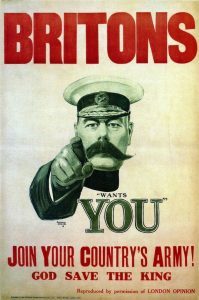 After two world wars, Britain was bankrupt. The empire which had subsidised the metropolitan standard of living was collapsing. Indian independence alone would mean an initial massive balance of payments deficit to the Union, not to mention debt to the US. The economy was more or less in ruins. The standard of living had sunk drastically for all but the very rich. It did not take any imagination to invent “Victory Gin” — Britain was nominally on the side of the winners but had lost everything. For someone like Orwell this was very obvious. d) Too little attention is paid to the actual structures that Orwell describes. The Party and the Thought Police are most frequently mentioned. This focus distorts Orwell’s depiction of a complex mechanism of social control. Ironically many people who have read Noam Chomsky’s essays do not grasp the point which Orwell makes and Chomsky reiterates — albeit avoiding too much attention to this embarrassing point. Orwell distinguished between the “inner party”, the “outer party” and the “prols”. This classification is very important for comprehending the whole process. Propaganda — that is the constant manipulation of data in forms to create what counts on any one day as “true” — is directed primarily at the “outer party”. The “inner party” is not concerned with what is actually true, this virtually invisible group is interested only in power. The “outer party” is governed by rigorous ideas of truth and virtue which have to be policed — precisely because the very idea of “truth” is a policing tool — not unlike sexual purity. The “truth” is of no material importance to the mass — the “prols” in Orwell’s depiction. But the “outer party” — the intellectuals, the bureaucrats, middle managers, functionaries of all types whether in the state or private sector, in short those who claim citizenship based on supposed intelligence and virtue/merit — need constant policing. They must be told not only what is fashionable but what counts as true or as the acceptable/polite consensus. These people cannot be left in abject ignorance since they are needed to maintain the system. They are in short the “Gene Sharp factor” — the percentage of the population with which one moves the whole. (Ironically the first edition (1993) of Sharp’s From Dictatorship to Democracy was published in Burma — where Orwell began his police career.) They are too numerous in comparison to the “inner party” to be ignored but not as disorganized as the “prols” so that they cannot be beaten down physically as a mass. Perhaps Noam Chomsky does not focus too much on his observation that it is the middle class intellectual/managerial class that is the target of most regime propaganda (most heavily propagandised) because he belongs precisely to that class. In fact, on some issues he might be confused with an asset of the Thought Police — coming too as he does from a central US Thought Police institution — MIT. Orwell was an Old Etonian. Eton College is the pinnacle of the “outer party” cadre institutions in Britain. It is run for the “inner party” and many of the “inner party” are also Old Etonians but the English public school is notorious for enforcing class distinctions even among those of the same college. All Etonians are equal too, some are more equal than others. e) Who is “Big Brother”? Big Brother is always supposed to be a kind of Stalin allegory. However, unlike the US, Britain has a constant figure who constitutes the focus of all loyalty and affection — the reigning monarch. The British royal family changed their name when war was declared against Germany in 1914. It became inappropriate to have a German king ordering illiterate British peasants and workers into war against another German king who was directly related for reasons that could not be admitted openly and still cannot. So the name “Windsor” was adopted. Edward VIII both before and after his abdication maintained a healthy relationship with blatant fascists of the old style. This does not mean that the British royal family ever renounced its affinity for fascism (e.g. Franco and Salazar). Moreover it is almost impossible to criticise the monarchy substantively in the United Kingdom. The actions of its members, singularly or collectively, are beyond review or public reproach — except in matters trivial like taste or polite speech. The pretense that the most wealthy private individual in the country (and one of the world’s wealthiest), the reigning monarch, has no personal interest in the policies of the British government and has no practical influence over the government in defense of those interests is about as great a self-deception as one can demand of any person, let alone an entire country. f) It is even arguable that Orwell was more concerned about the US because this was the country which switched sides and manipulated the war aims the most — without any cost to itself. During WWII it was clear that the Soviet Union was fighting a vicious war just to survive in the face of the Western onslaught. However, sober people also saw that the US stood to be the only beneficiary of the war. In 1945, this was obvious. No sooner had the war ended but the US proclaimed a war against the Soviet Union. Britain could not have afforded such a position — even if Churchill would have liked. He gave his deceptive “iron curtain” speech for Truman because of dependence on the US not because Britain could have afforded an anti-Soviet policy on its own.1 Orwell could certainly see the absurdity of an impoverished Britain having been on the side of the Soviet Union against Hitler now aligned with the US against the Soviet Union. In fact, it could be argued that Orwell’s novel is very coherent with Roger Waters’ The Wall (and its sequel The Final Cut) in their specifically BRITISH views of mass culture and pseudo-democracy concealing party dictatorship. It has little, if anything, to do with Russian society, let alone politics. That is only natural. Orwell never lived in Russia and would not have been able to explain Russian society. For that one has to turn to Russians themselves; e.g., Tolstoy or Sholokhov or Pasternak. On the other hand many Americans believe that they understand British society — this is due largely to saturation with BBC programming. However similar Britain may appear to the US, it is actually a very different country and culture (except perhaps for the highest strata of the Anglo-American ruling class). 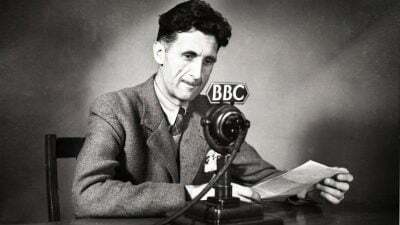 The illusion that Britons are only more quaint Americans has done much to promote the mis-understanding of Orwell. There is probably not a country in the world today with so much influence on intellectual and cultural activity from such a depraved and obscene level of general ignorance and stupidity. The capacity to saturate the world with this structural mendacity and almost genetic stupidity is probably worse than any other weapons system the country’s psychopaths have produced — because it is the basis for acceptance of all those weapons in the first place. 1. Churchill, unlike Truman, had attended the meetings with Stalin and Roosevelt at Yalta where it was agreed that the Soviet Union would occupy the Eastern European territories that had been absorbed into the German Empire, in part as a basis for war reparations due to the enormous destruction suffered by the Soviet Union — almost all of the European part of the country was razed to the ground. He knew that the Soviet occupation had been agreed by all the Allies. He also knew that the Allies were attempting to deprive the Soviet Union of the reparations due from Germany. In short he knew that it was the West that was hanging an “iron curtain” in front of the Soviet Union in the hope that it would collapse after WWII. Britain could not have afforded such a policy. Among other things the collapse of the empire would deprive it of its cheap access to all sorts of raw materials making it vulnerable to world market fluctuations. 2. A more precise clarification of what might otherwise be called the ideology of the North Atlantic Establishment would exceed the scope of this brief note. Carroll Quigley’s The Anglo-American Establishment provides a fairly useful summary of its principles and the way it has been expressed through the 20th century. It should be noted that one of the key cadre institutions for academics according to Quigley is the All Souls College of Oxford University– where Gene Sharp also completed his doctorate.